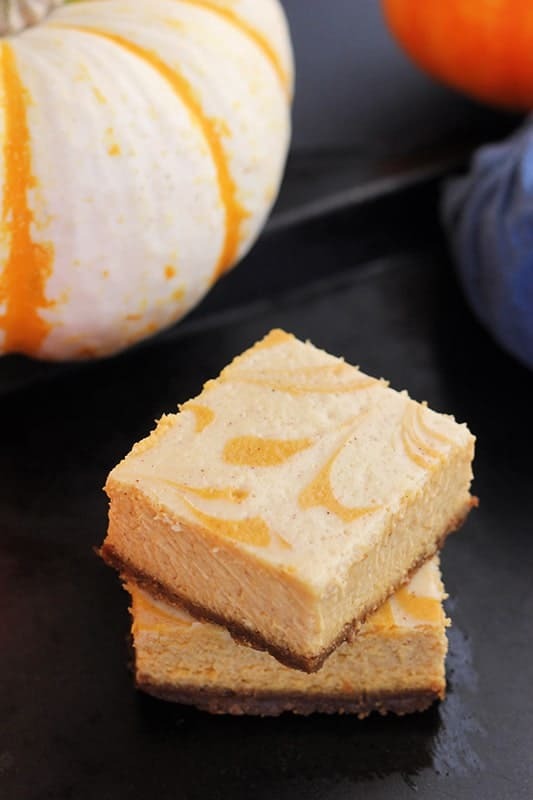 Pumpkin Cheesecake Bars. 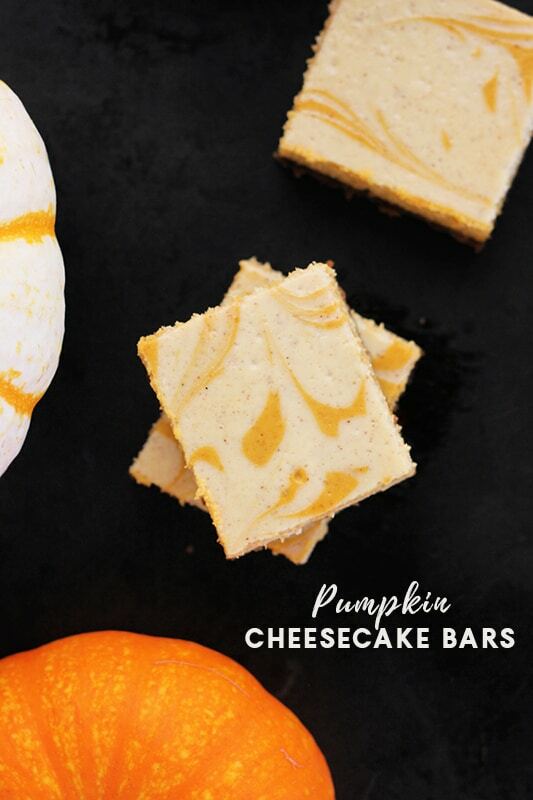 Pumpkin puree and cream cheese combine on a gingersnap cracker crust giving you the perfect fall dessert recipe! The search is on for a shareable fall treat. I need a good go-to for all of our holiday parties. There were a few MUST haves for the winner. They hit every one of my qualifications and exceeded our expectations. 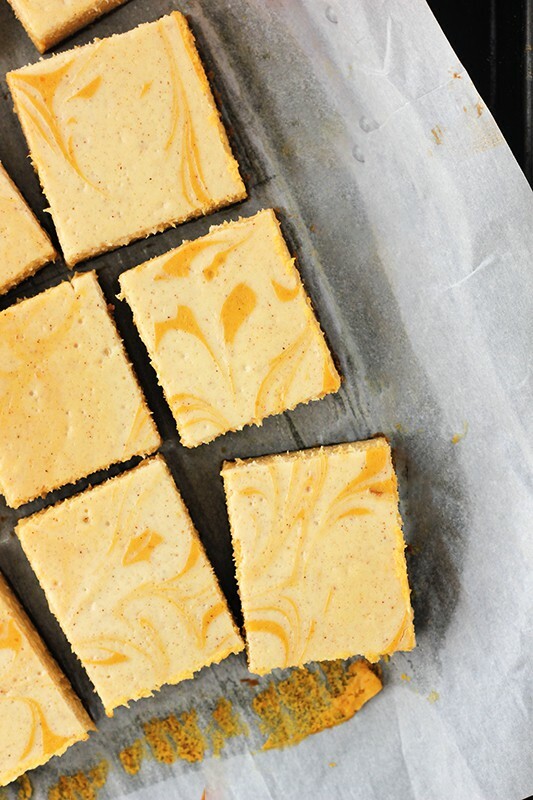 Creamy, full of pumpkin flavor, and easy to share. You cannot ask for much more. Do not over mix. I like to use a hand mixer to make sure that the ingredients are just barely incorporated. Line your pan. I have been known to use foil and parchment paper. Both work well and make it super simple to pull your bars out of the pan! Make them the day before you plan to serve them. The flavor (of these bars especially) get better the longer they chill. I put my bars on a gingersnap crust. 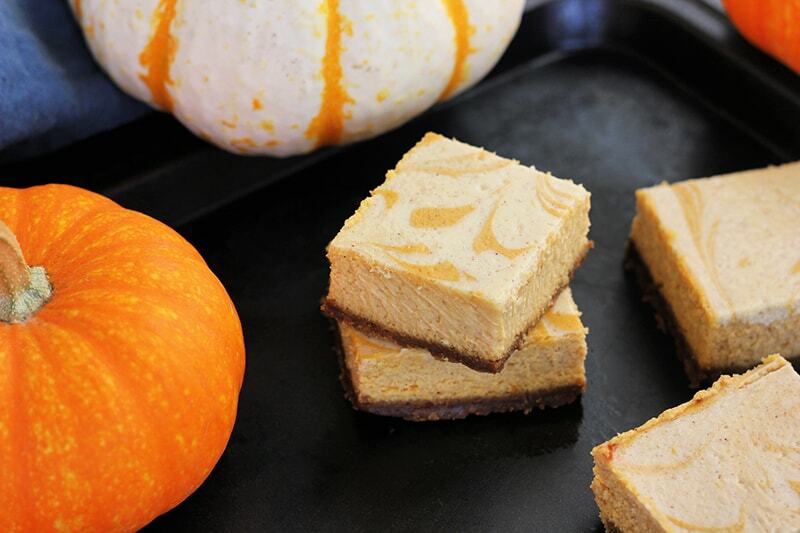 The spice of those little cookies compliments the creamy pumpkin topping perfectly! That being said, you could easily substitute a graham cracker crust! Like this recipe? You will love my Slow Cooker Pumpkin Pie, Pumpkin Pie Granola, and Streusel Pumpkin Pie! 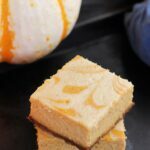 Pumpkin puree and cream cheese combine on a gingersnap cracker crust giving you the perfect fall dessert recipe! Preheat your oven to 375 degrees. Line a 9 inch pan with parchment paper or foil. Mist with cooking spray and set aside. Combine your ingredients in a mixing bowl. Stir until fully combined. Transfer to your prepared pan and press firmly into the bottom. Bake 10 minutes. Cream together the cream cheese and sugars until light and fluffy. Turn your mixer on low and add the eggs, vanilla, and pumpkin pie spice. OPTIONAL: reserve 1 cup of filling here if you would like to swirl on top of the cheesecake. Stir in the pumpkin puree. Pour over your crust. Bake at 325 degrees for 25-35 minutes or until set. Chill 4 hours or overnight. Slice and enjoy! To swirl: Reserve 1 cup of batter BEFORE you add the pumpkin puree. Before baking gently drizzle over the top of the pumpkin batter. Swirl with a knife.